The last record cold year was 1911. The last record warm year was 2014. We are experiencing the 361st record warm month in a row. 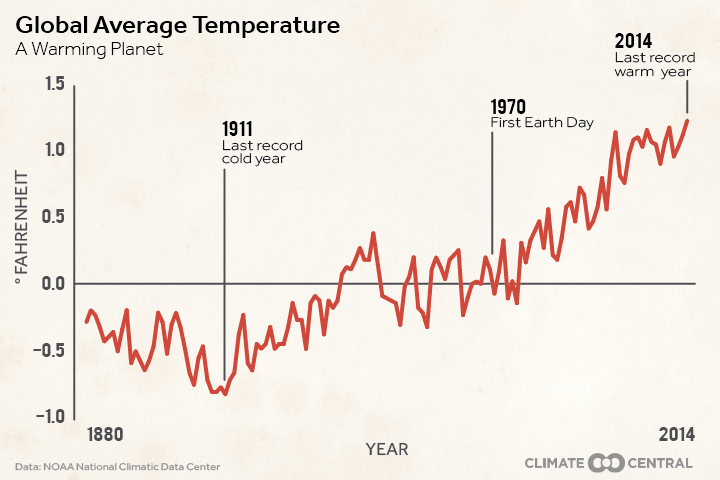 The 10 hottest years on record are all since 1998. And gains are being made in renewable energy, people are driving less, there is increased demand for more sustainable food production, and some countries aren’t even throwing away anything. The race between optimism and pessimism, central to Pretending Not To Panic. Happy Earth Day.